Your child’s education is a top priority for you. You want to give him or her every opportunity to succeed and that’s why you have opted for tutoring. But you may be asking yourself what more can you do to help ensure that your child gets the most from his or her tutoring. Learning is an ongoing process. It is more than just the time spent at school or in tutoring. So, your role extends beyond finding a tutor for them. When you get involved and take an active interest in what your child is learning, you become a partner in the learning process. It’s a good idea to speak with your child’s tutor on a regular basis to find out more about what you can do at home to build upon what your child is learning during tutoring. Parents who are interested learning new things themselves become role models for their kids by demonstrating that learning is a lifelong process. Don’t be afraid to talk about some of the struggles that you have had in mastering new skills and how you persevered to reach your goals. It’s normal for kids to become frustrated from time to time when they are having difficulty mastering new material, they have been taught. They can also be embarrassed about the mistakes they make or feel inadequate if they see some of their classmates pick up the subject matter with greater ease. During instances like these, a parent’s reassuring words can be very valuable. Let your child know that it’s normal to have some trouble and that everyone needs help sometimes. Make sure they know that you are proud of the effort and hard work they’re putting into their tutoring. Just like at school, your child may occasionally get some extra assignments and homework from his or her tutor. Scheduling time to make sure the work gets done and keeping a watchful eye on the progress will help ensure they don’t fall behind in their work. Your child’s scholastic struggles may require some extra hard work and attention from tutoring. Nevertheless, it’s important that your child still maintains a normal social life that allows him or her to have fun and play with friends. If tutoring results in elimination all other activities that your child enjoys, it would inevitably be seen as a punishment and be met with resentment. 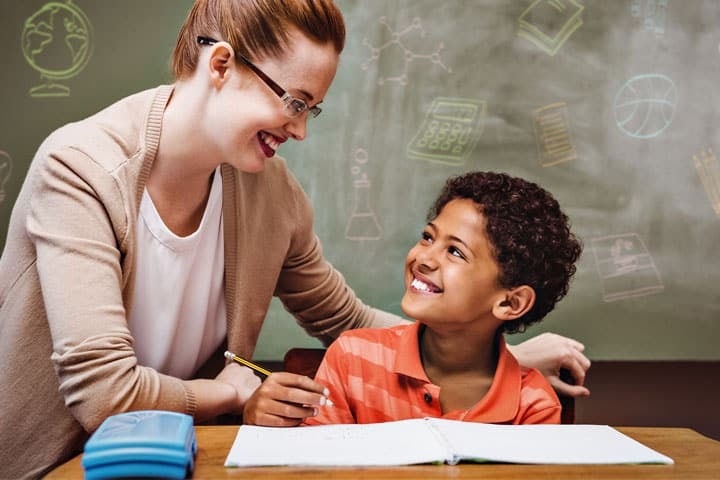 Your child’s tutor may have some additional suggestions of what you can do to support the tutoring process; however, taking an interest in this article is already a very good sign. Contact Read Smart today for a free reading evaluation.